Workplace accidents and injuries are more common than people realize. Despite the fact that most individuals don't expect to get hurt at work, private industry employers reported approximately 2.9 million nonfatal workplace injuries and illnesses in 2016 alone, according to the Bureau of Labor Statistics. 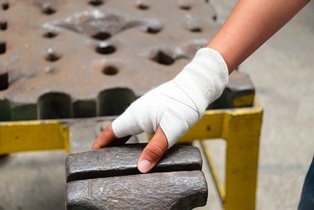 Workers injured on the job while carrying out duties related to their employment may be eligible for workers' compensation benefits, such as disability income benefits, as well as coverage of accident-related medical expenses. However, income benefits usually are not permanent. Once an injured worker begins to improve and recover, the treating physician may clear him or her to return to work with “light duty” restrictions. This is a complicated process that can significantly affect a workers' compensation claim and benefits. If your doctor cleared you for light duty after an on-the-job injury, here's what you need to know before returning to work. What Is Light Duty Work? Light duty assignments allow employees to return to work while still recovering from their on-the-job injuries. When available, employers may provide light duty work for individuals being treated for injuries they sustained in the workplace. This work is often less strenuous than the employee's previous position and should accommodate limitations placed on the injured worker by their treating physician. A return to light duty can be a positive development for all parties to the claim — employees return to work and receive a paycheck, and workers' compensation disability payments are suspended, benefiting both the employer and their insurer. However, when a light duty job doesn't work out for the injured worker, things can quickly become complicated. Even if injured employees are unsure they can complete their light duty assignments, it's unwise for them to simply turn down jobs. If you have not been out of work long enough to start receiving temporary total disability benefits, you should almost always try a light duty job offered by your employer. If you refuse, you won't receive income benefits, and there is a good chance that your employer will fire you. If you have been out of work and are receiving income benefits, in order to suspend your benefits, your employer needs to offer you a job in compliance with O.C.G.A. § 34-9-240. Under this Code section, the employer has to come up with a written job description, which first needs to be approved by the treating physician as being within the injured worker's restrictions. Then, the insurer has to send the injured worker and their attorney an offer of light duty work on a Board Form WC-240, which will set out the job title, rate of pay, and when and where the employee is to report to work. The approved job description should also be attached. The insurer is required to give 10 days notice of the light duty job. If the employer and insurer comply with the requirements of a O.C.G.A. § 34-9-240 job offer, then the injured worker needs to attempt the the light duty position for a full shift or at least eight cumulative hours, whichever is greater. As long as the employee works more than that minimum period, if within 15 scheduled working days, the employee is unable to continue performing the job, the insurer is required to reinstate their income benefits. If the injured worker fails to attempt the job for the minimum required period or is unsuccessful after 15 scheduled working days, the insurer will not have to restart benefits. Do you have questions about whether you should attempt a light duty job? You may be recovering well, but it's important to protect yourself and your workers' compensation benefits. The experienced workers' compensation attorneys with Rechtman & Spevak can help you understand your rights and explore your legal options. They can guide you through the process every step of the way. Contact us today to schedule an appointment for a free, no-obligation initial case consultation. Should I Return to Work If My Employer Offers a Light Duty Job?